A rich cheesecake inspired by the famous espresso drink. 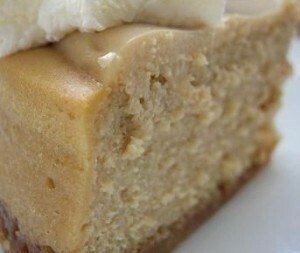 Here is an easy dessert recipe for Latte Cheesecake. Preheat oven to 325°F (160°C). Grease a 9-inch springform pan. 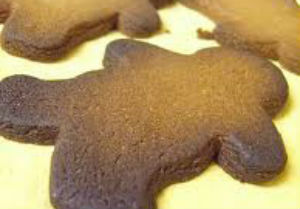 To make the crust, combine graham cracker crumbs, 1/4 cup sugar and melted butter in a small bowl. Mix until evenly combined. Press into bottom and 1-inch up sides of prepared pan. Set aside. 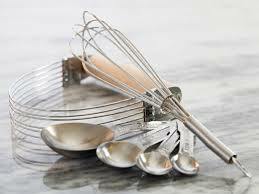 Meanwhile, make the filling by blending cream cheese and remaining 1 cup sugar with an electric mixer on medium speed in a large bowl. Beat in eggs, espresso powder and vanilla until well blended. Pour batter into prepared crust. Bake for 55 to 60 minutes, or until set. 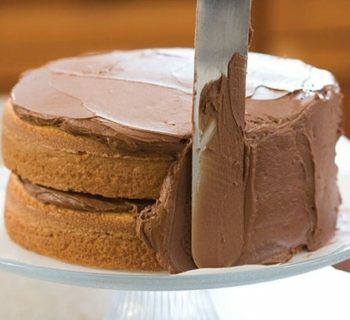 Center of cake will jiggle slightly. Turn oven off, leave door ajar and allow cake to cool in oven for 1 hour. Refrigerate for at least 4 hours or overnight before serving. Makes 12 servings.